Prior to joining the Department of Health and Human Services (HHS), Renee Ellmers served three terms in Congress where she led efforts to defund Planned Parenthood and repeal the Affordable Care Act. 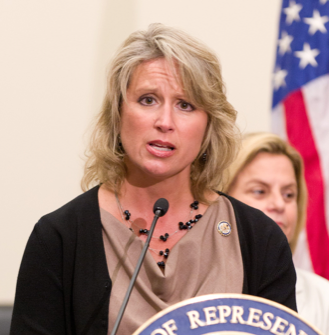 Before joining Congress, Ellmers spent over a decade working as a registered nurse with her husband, a surgeon. The Regional Director(s) of the Office of Intergovernmental and External Affairs (IEA) represent the Department of Health and Human Services (HHS) in direct official dealings with state and local governmental officials and offices, as well as non-government organizations. The Regional Director can therefore formulate and recommend department policies on the delivery of services to states, territories and communities. Ellmers was endorsed by Susan B. Anthony List during her congressional campaign. The group also contributed to three of her campaigns. Ellmers invited Americans United For Life president Charmaine Yoest to hold a press conference with other members of Congress to present the group’s case for investigating Planned Parenthood.